Check out this gorgeous wedding at Aria, Minneapolis. We were so excited to be a part of this one. 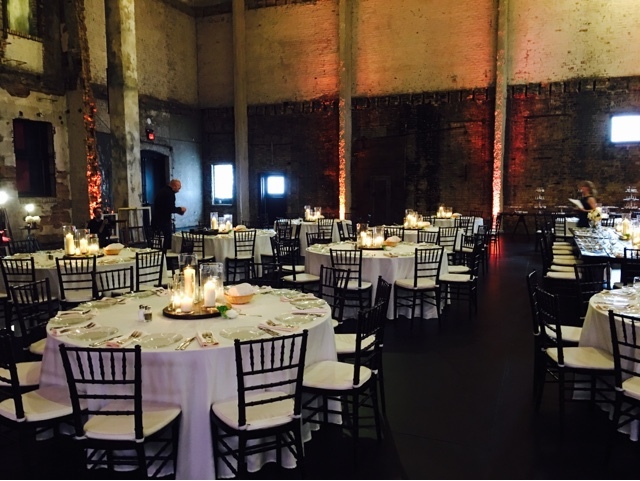 We provided an amazing vintage lounge area, photo booth, ceremony candles that lined the aisles and of course, these incredible wood and glass centerpieces for the guest and harvest tables! Check out these beautiful new centerpieces...just added to the Bella Amore Events rental inventory! This unique wood and glass centerpiece combination features five large pillar candle hurricanes in various heights on top of a gorgeous round walnut wooden stand. We are SO EXCITED to announce that we have won The Knot Best of Weddings 2016! We'd like to thank YOU and all of our amazing Couples for making it happen. It is truly an honor to be able to play even a small part in your big day. Thank you. This really means a lot. 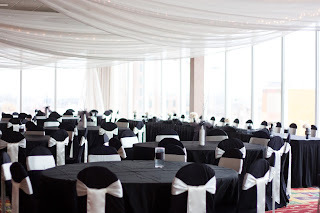 A lovely and elegant wedding reception at Windows on Minnesota, the amazing wedding venue inside the Marquette Hotel in Downtown Minneapolis, MN. 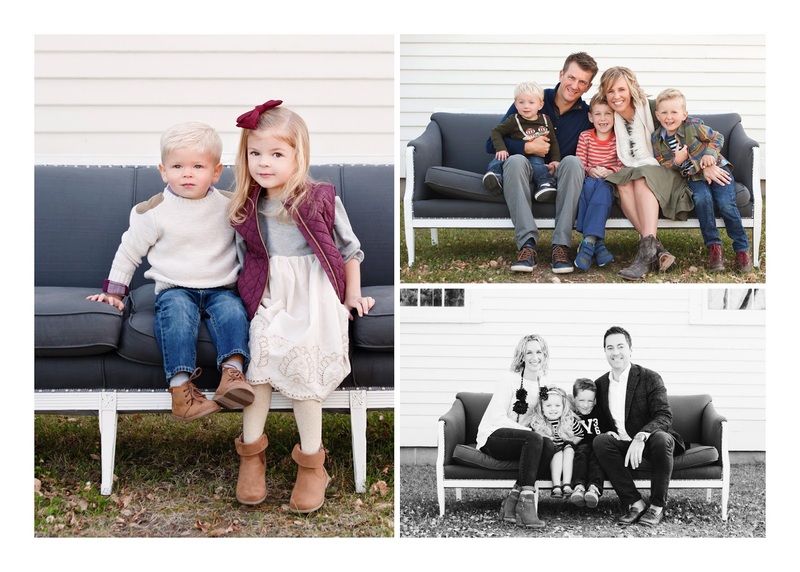 Our very handsome "Asher" sofa was recently featured in a gorgeous Fall Photo Shoot by the amazing and talented Laurie Ambrose Photography. 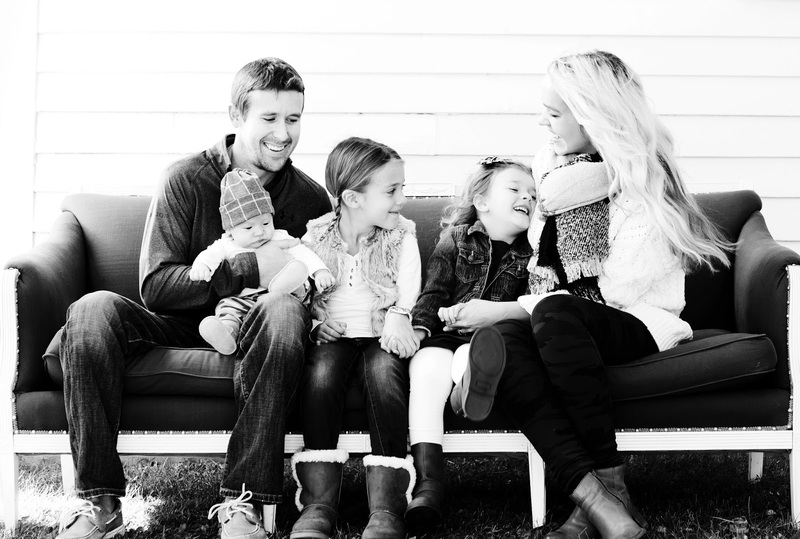 Laurie specializes in breathtaking portrait photography for newborns, little ones and families. Inquire today about renting "Asher" or any of our other unique vintage furniture pieces for your upcoming Wedding, Photo Shoot or other Event. A beautiful vintage themed wedding at the Machine Shed in Lake Elmo, MN. 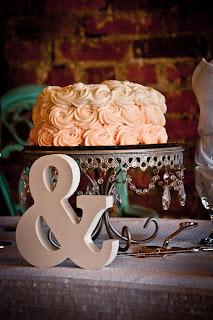 This gorgeous wedding included white chair covers, mint organza sashes, our antiqued silver cupcake candelabras and cake stands, black and white table numbers and lovely vintage chairs for special Bride & Groom seating at the head table. Dessert service included chocolate & vanilla cupcakes and a custom mint colored ombre rosette cake. New Friends! Introducing: Adeline and Cecelia! We are so excited to bring in these two new amazing pieces! Introducing: Adeline and Cecelia! 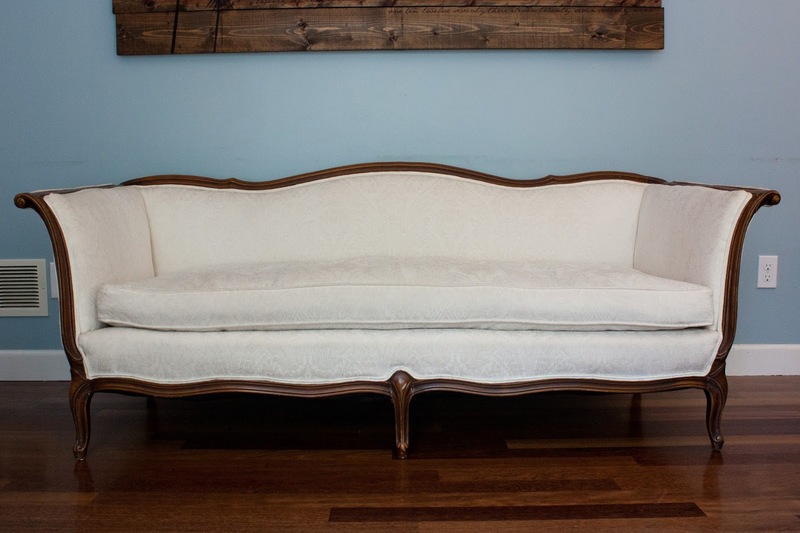 Adeline is beautiful cream colored French sofa with amazing carved wood and a lovely physique. She coordinates perfectly with our "Juliette" French Provincial tufted sofa as well as our entire inventory. The pretty cream upholstery can fit seamlessly into any color scheme so reserve her today for your upcoming Wedding or Photo shoot! 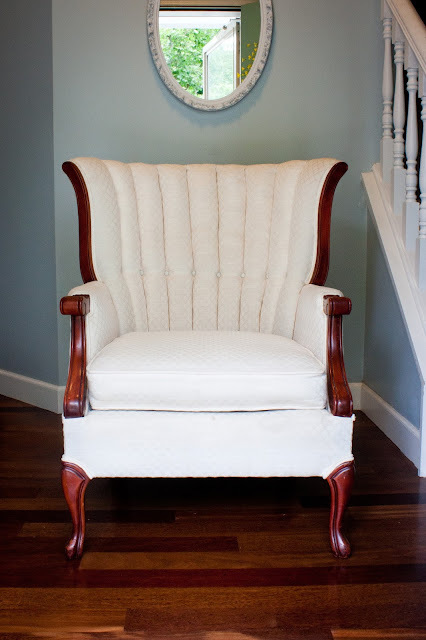 Cecelia is a beautiful cream colored wingback chair with clamshell detailing and gorgeous carved fruit (cherry) wood. A lovely Wedding at Majestic Oaks Golf Club in Andover, MN including White Scuba Chair Covers, Eggplant Satin Sashes, bow-tied and Eggplant Table Runners. White Chair Covers with Eggplant Satin Sashes and Runners - Majestic Oaks Golf Club, Andover MN. AFTER: Chairs look finished, bright, cheery and elegant and the whole room appears brighter. New Friends! Introducing: Niles, Flora, Alden and Asher! 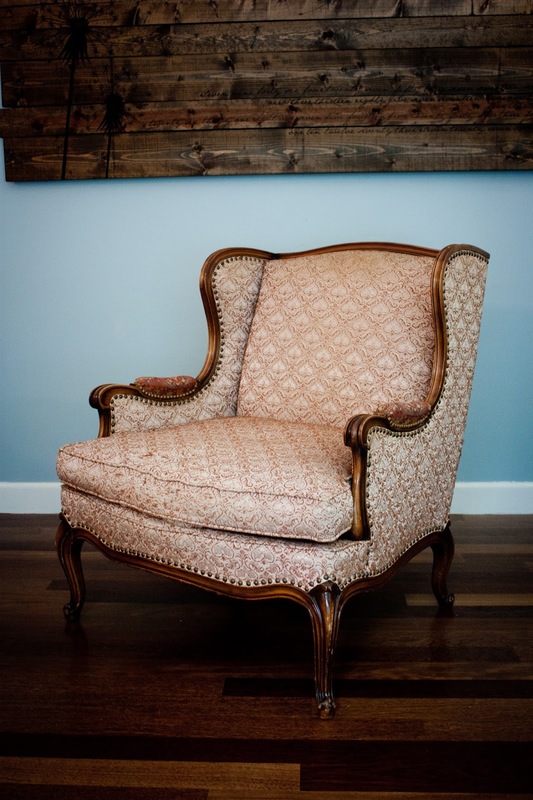 We've recently added some amazing pieces to the Bella Amore Vintage Rental Family. We're happy to introduce to you: Flora, Niles and Alden. "Niles" (the new favorite) is a gorgeous creamy taupe colored french parlor chair with some amazing original nailhead detailing. 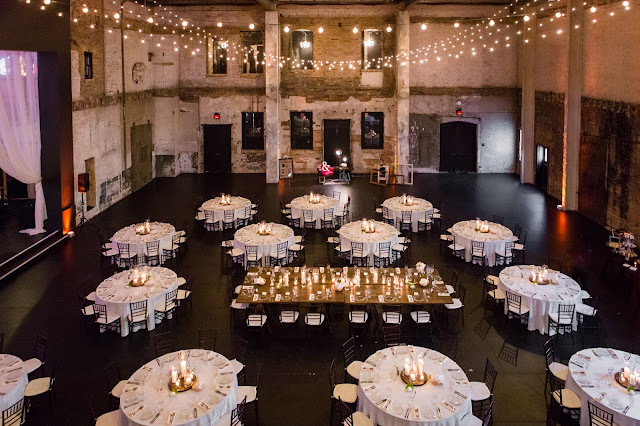 Restoration Hardware remakes these chairs and they are a huge trend in Vintage Weddings at the moment. The only difference: this one is the real thing... no replicas here! 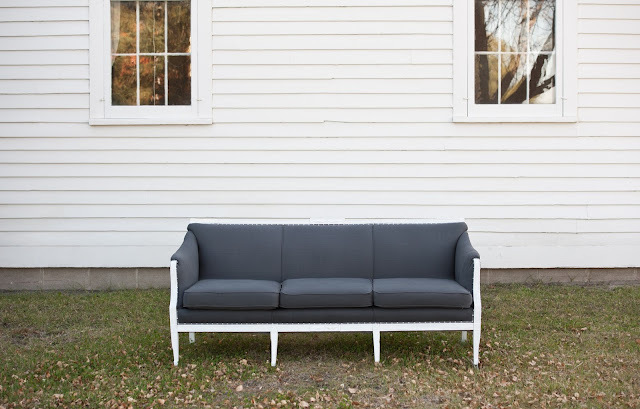 "Niles" coordinates especially beautifully with our "Juliette" Sofa, and our "Humphrey" Chair. But his great neutral color will blend seamlessly with any of our pieces! We were so ecstatic to be a part of this gorgeous Wedding at the Cannon River Winery in Cannon Falls, MN. 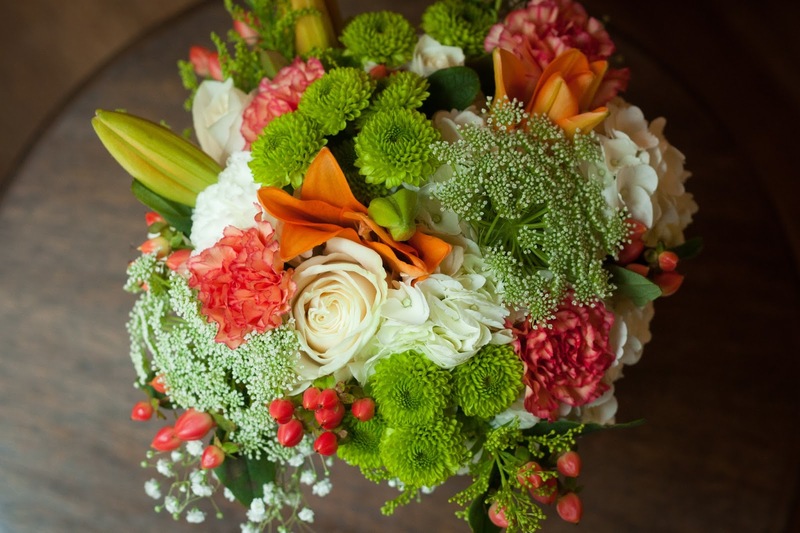 We provided the Decor Rental and all of the Wedding Flowers. A special thanks to our amazing floral team for making this Wedding so special! The Bride chose whimsical and billowy babies breath for the majority of the reception decor and Bridesmaid's bouquets. Love! 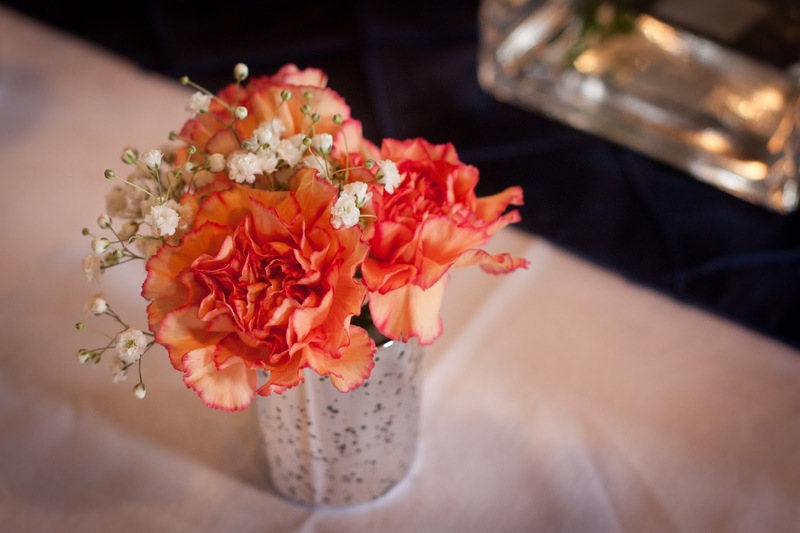 Throw in some elegant Mercury Glass and a pop of Coral and this Wedding was a hit! Rentals included: Navy Table Runners, Mercury Glass Votives, Tall Mercury Glass Centerpieces, Clear 20" Trumpet/Pilsner Vases & our 6" Square Vases. 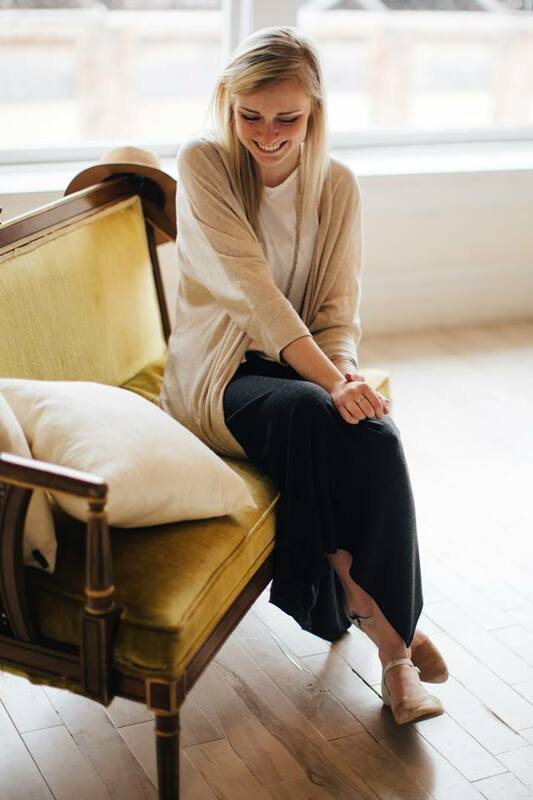 Recently some of our gorgeous vintage pieces were featured in a product shoot for an amazing jewelry boutique with a purpose: Paisley + Sparrow. These incredible photos were taken by the very talented Nicola @ Nicola Harger Photography. Featured in the shoot were our "Olive" vintage carved-wood settee in it's beautiful olivey-gold velvet glory and our "Grace" cream colored tufted upholstered accent chair. 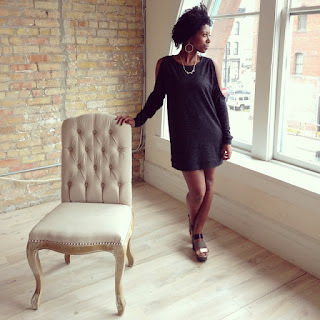 Have an upcoming Photo Shoot? Our entire inventory is available for Prop Rental with convenient delivery and pickup options! A beautiful Wedding at the Loft at Studio J. in Stillwater, MN! 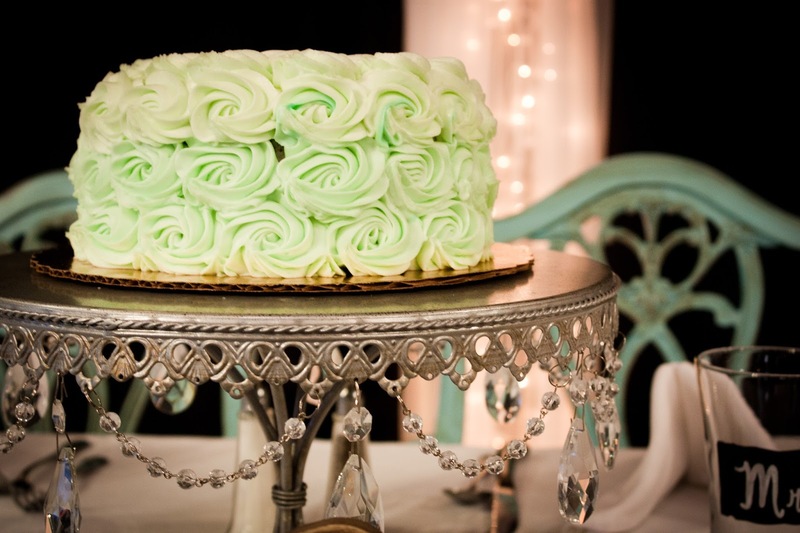 Rental, Decor and Dessert service provided by Bella Amore Events. 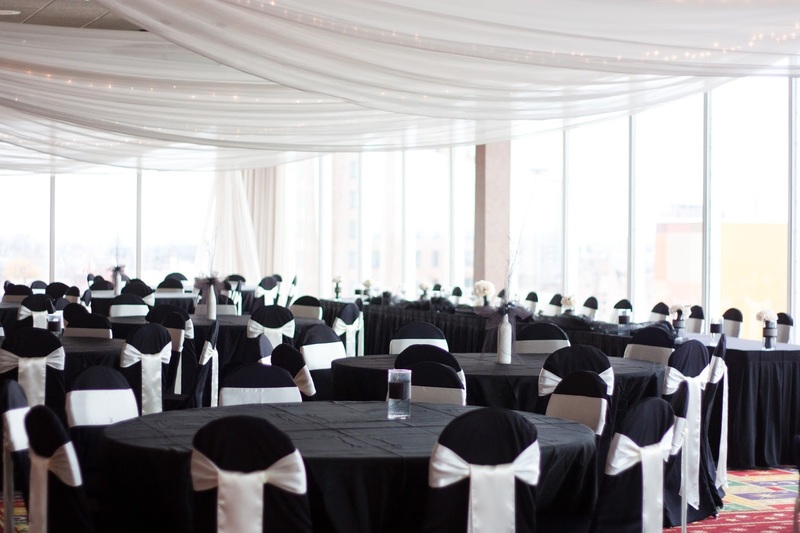 A gorgeous wedding at the Millennium Hotel in Minneapolis, MN. 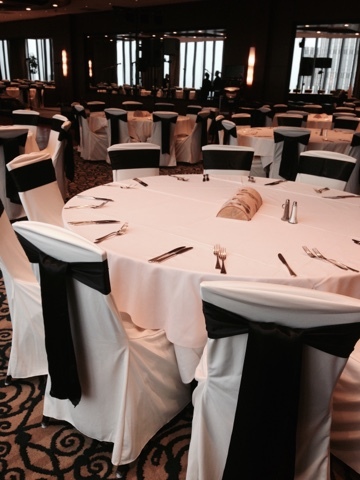 Rentals included: Black Scuba Chair Covers, Satin Sashes, Ceiling Draping with Twinkle Lights.